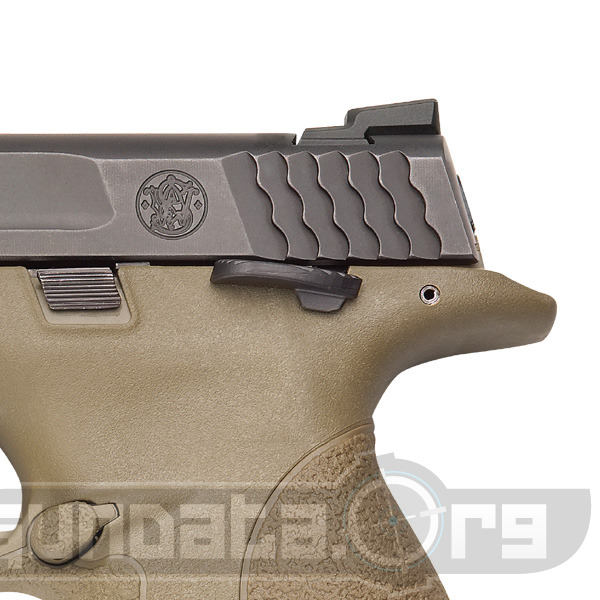 The Smith & Wesson M&P45 in Dark Earth Brown with that nifty little thumb safety is a nice tactical handgun in the stout .45 ACP. 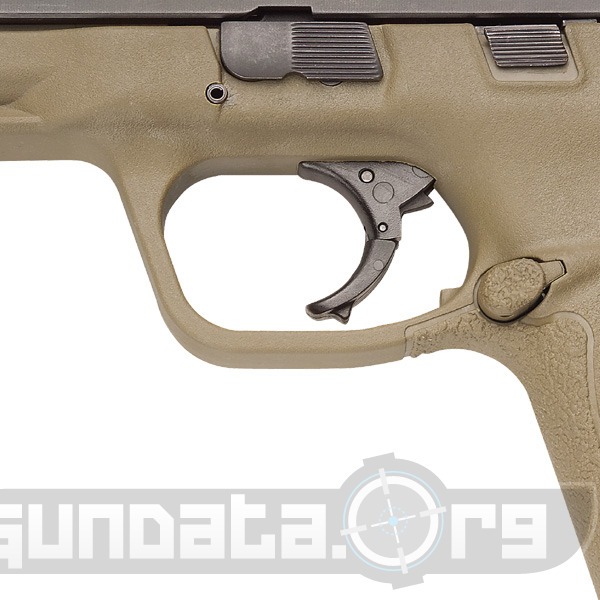 Priced at $619.00 this rugged 45 holds 10+1 rounds, and has an overall length of 7.5". 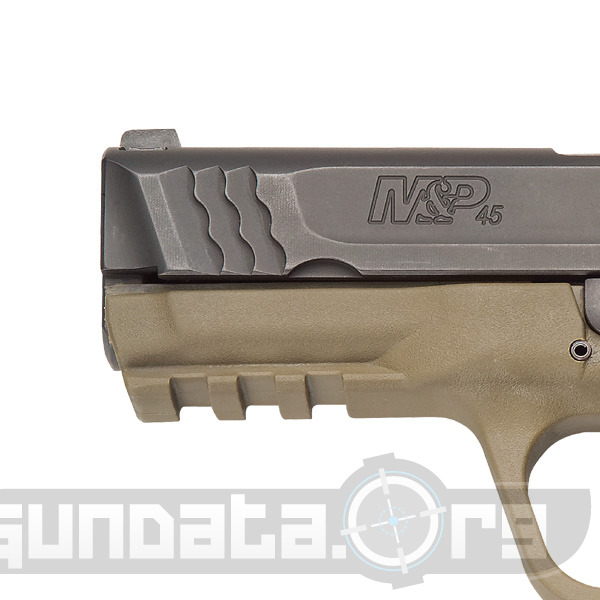 This S&W M&P45 weighs in at 27.7oz with an empty mag, has a barrel length of 4", is built on a polymer frame, with a stainless steel barrel, and is finished in Barrel Black Melonite and, Dark Earth Brown Zytel. 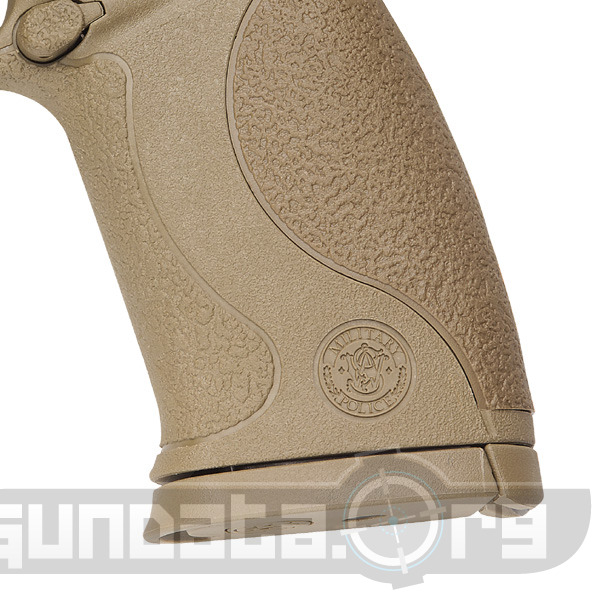 The safety on this handgun is built for extreme ergonomics, and can be used ambidextrously. If you have one of these please post your photo up and give us a review.